I use EditPlus 3 a lot for editing firewall configs, and just taking notes. But freshly installed it has the annoying habit of creating .bak (backup) files for every file you work on. I tend to keep the notes I’m working on on my desktop, so this can clutter it up with annoying icons. 1. Launch EditPlus > Tools > Preferences > Files. 2. 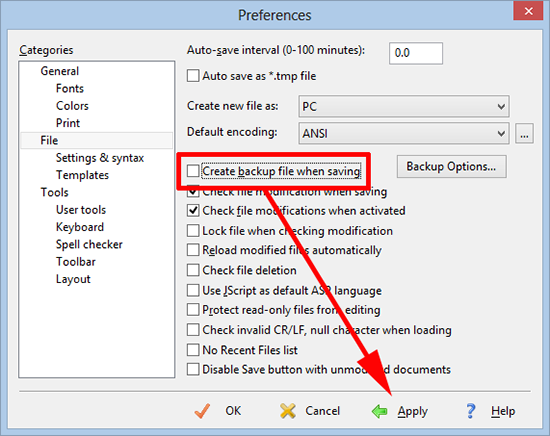 Untick ‘Create backup file when saving’ > Apply > OK.